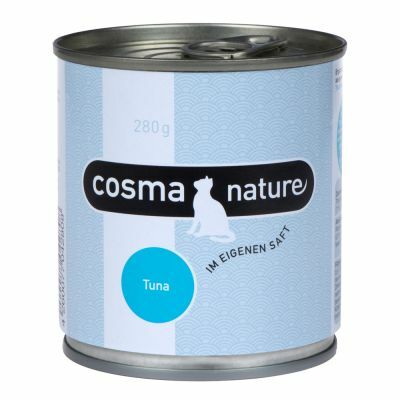 Cosma Nature 6 x 280g | Amazing deals on wet cat food at zooplus! 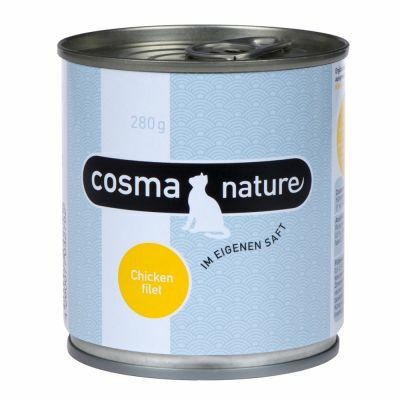 Premium quality cat food with 75% meat content and fresh ingredients in a 280g can, ideal for multicat households. 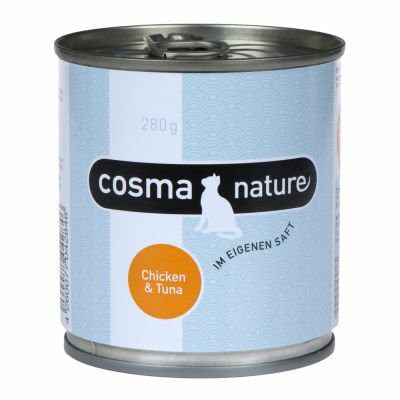 Gently cooked in its natural juices, with no additives. 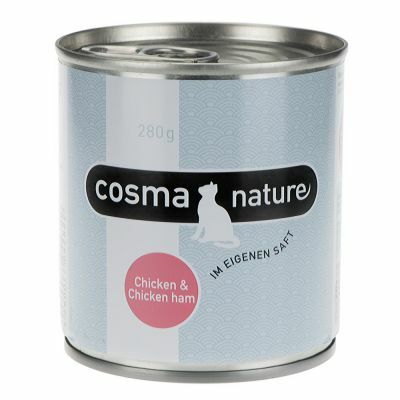 Great quality :"This is fabulous food, very healthy, a very high content of meat. The cat loves it." 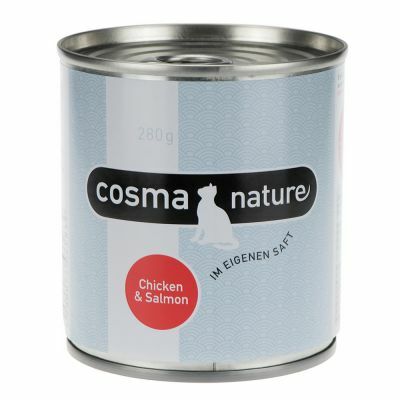 Feed each cat ½ or ¾ of a can per day in at least 2 separate meals. Serve at room temperature. Always ensure plenty of fresh drinking water is available. Keep opened cans in the fridge and use within 24 hours. 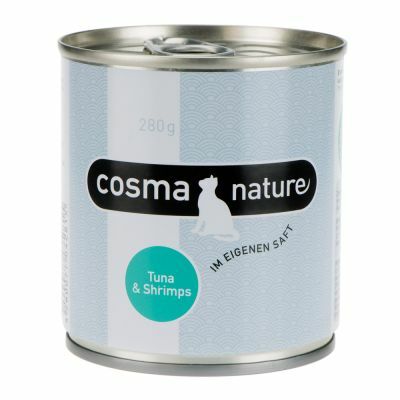 Bought this for my senior cat who is almost 20, the quality of meat is excellent but with my cat being a fussy eater he only prefers the tuna variety, will be buying again as it's good quality and value for money.